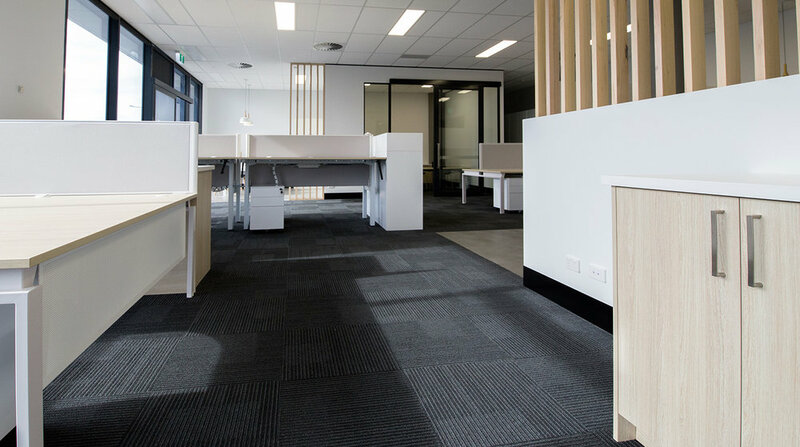 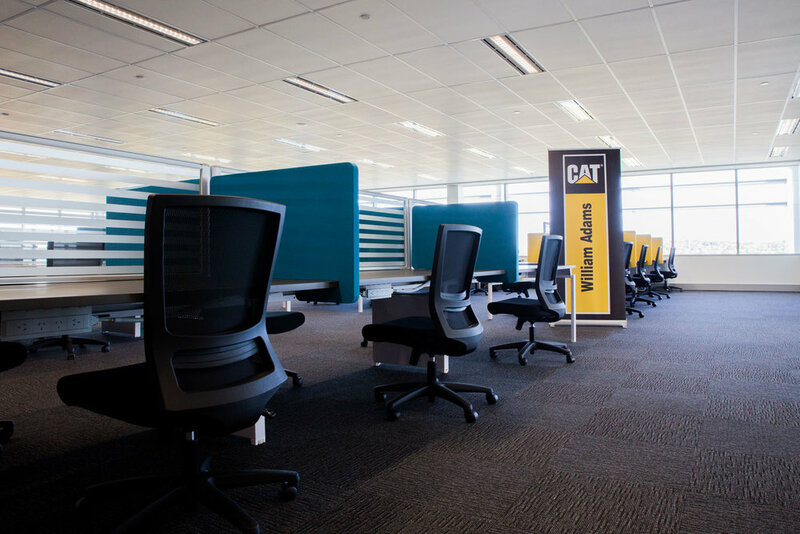 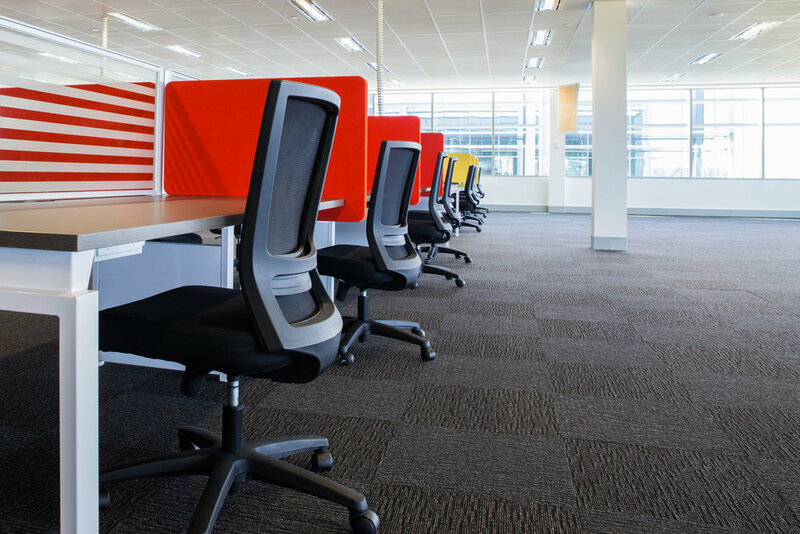 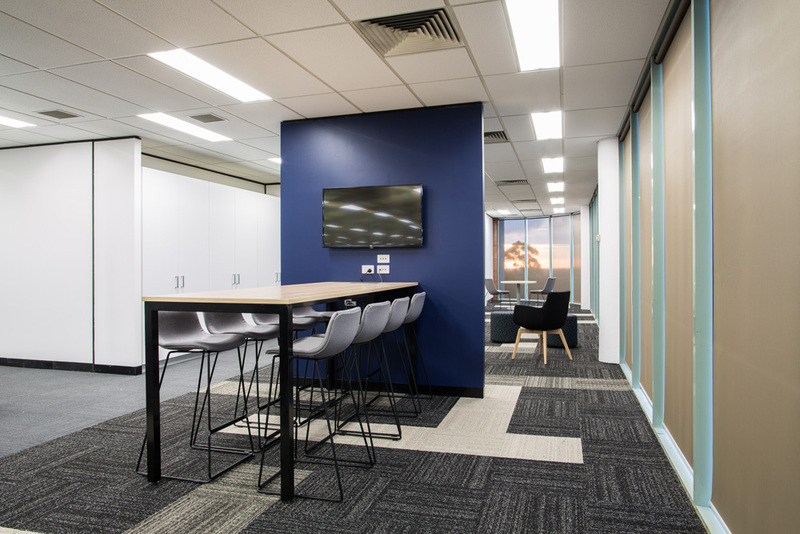 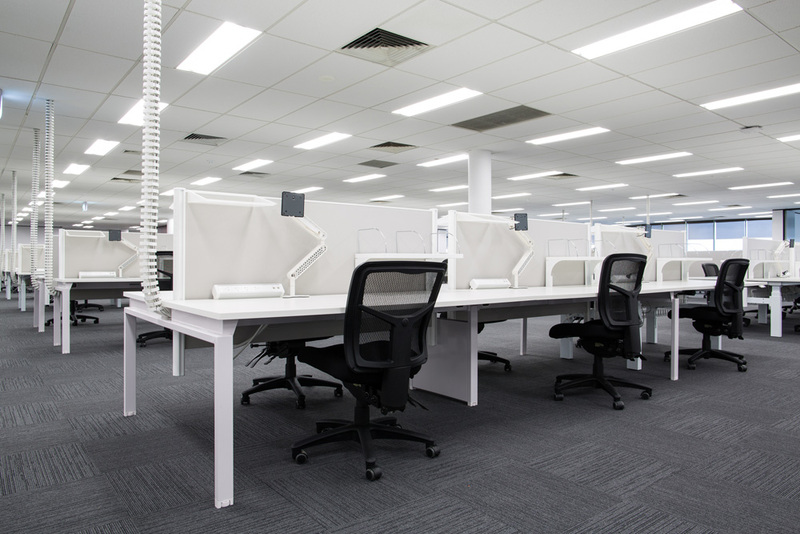 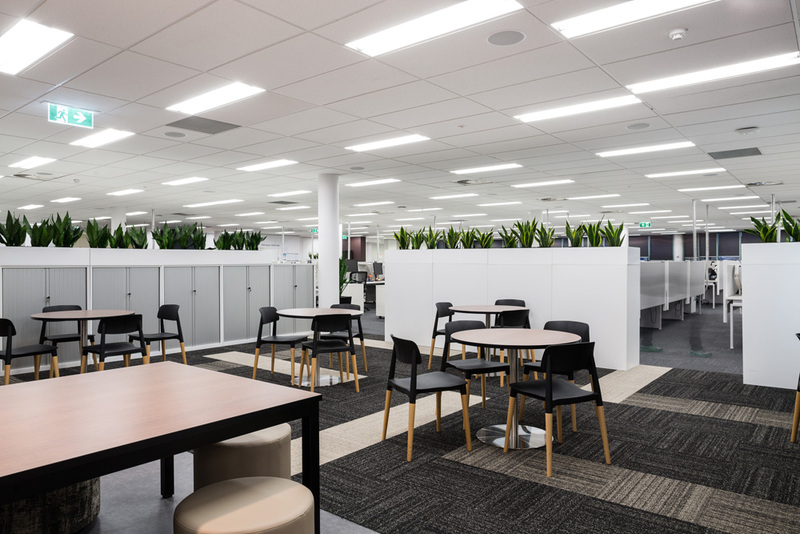 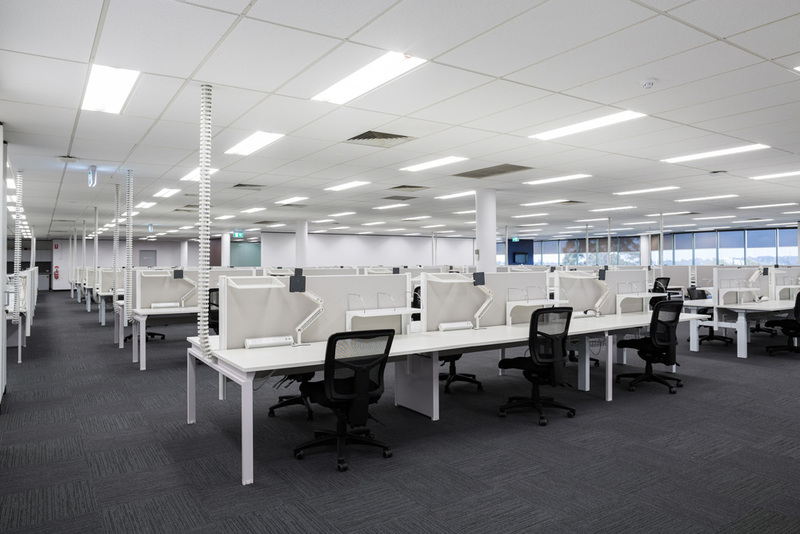 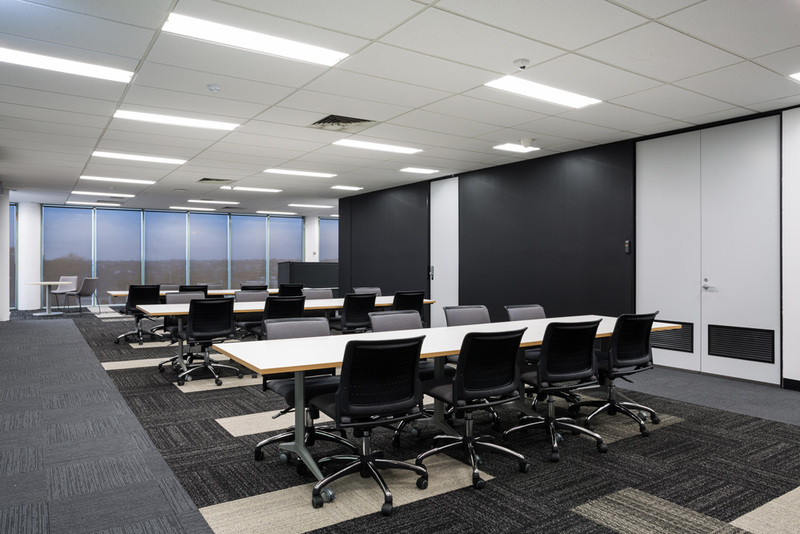 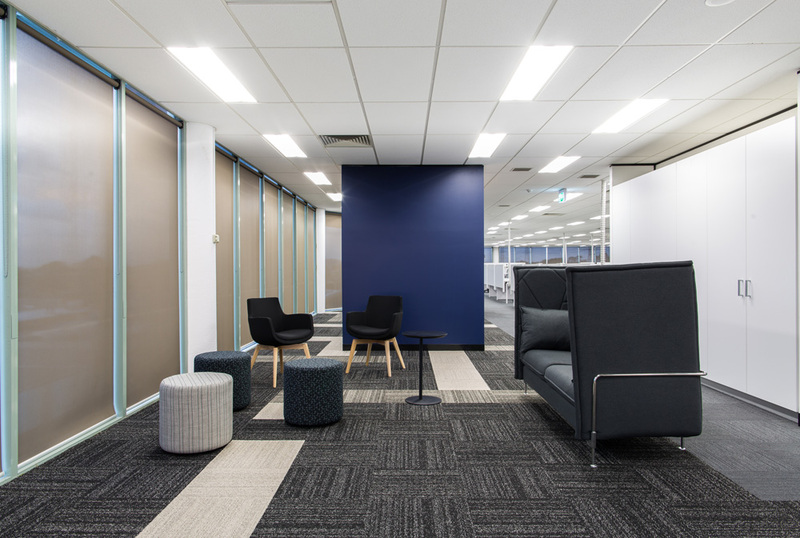 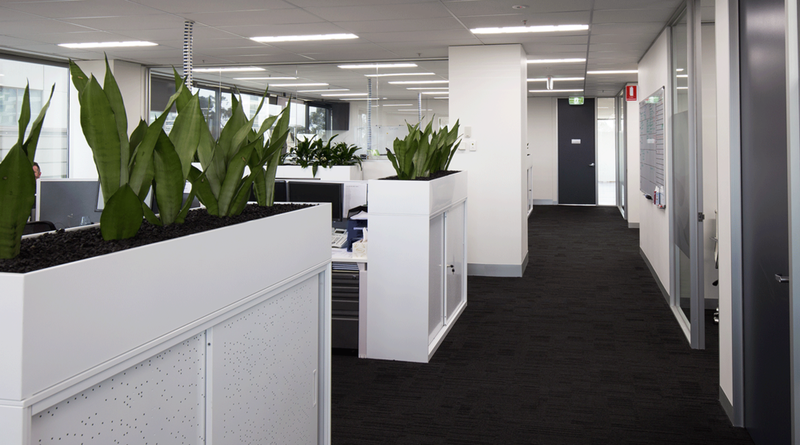 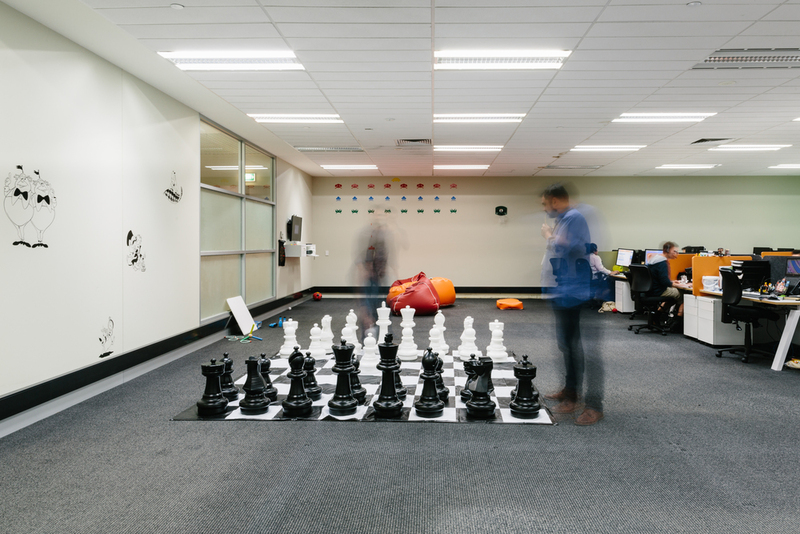 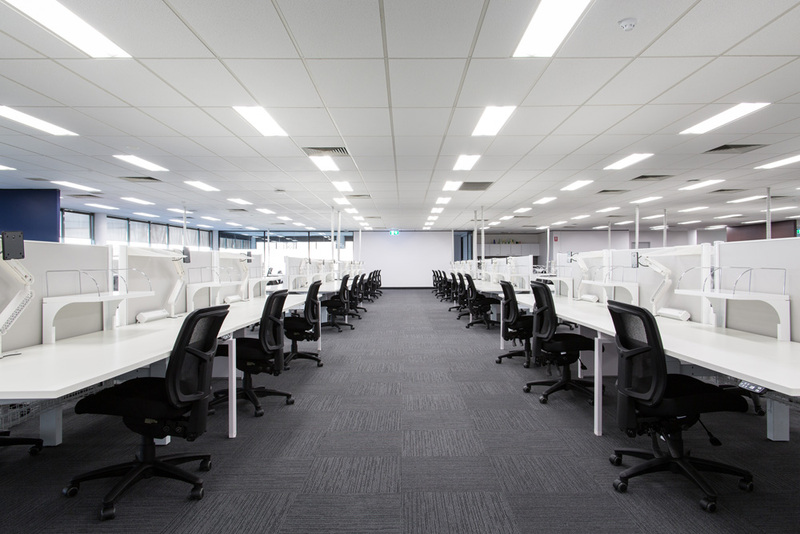 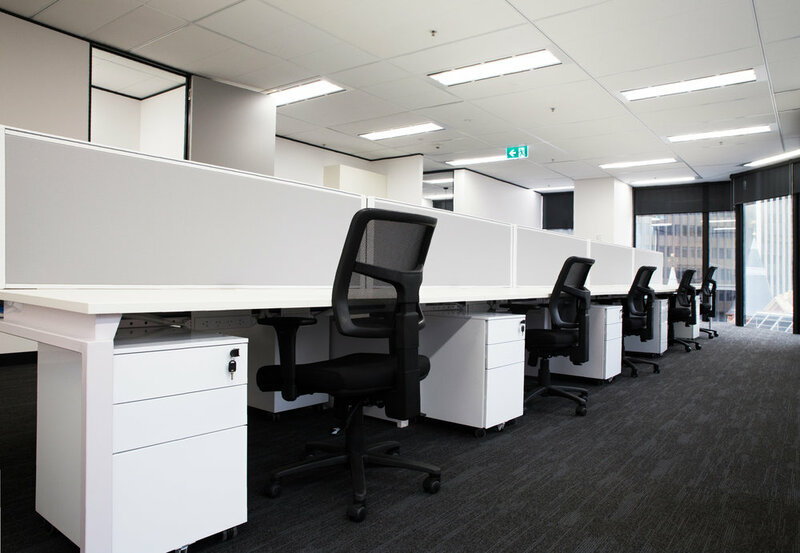 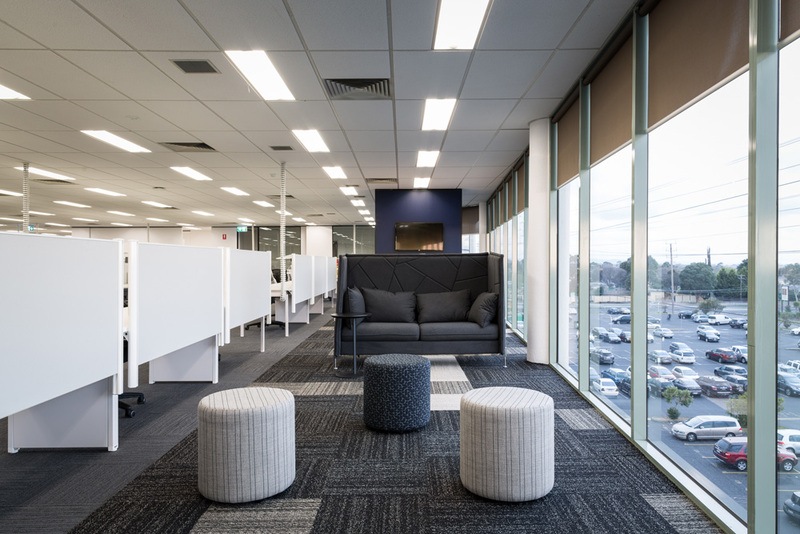 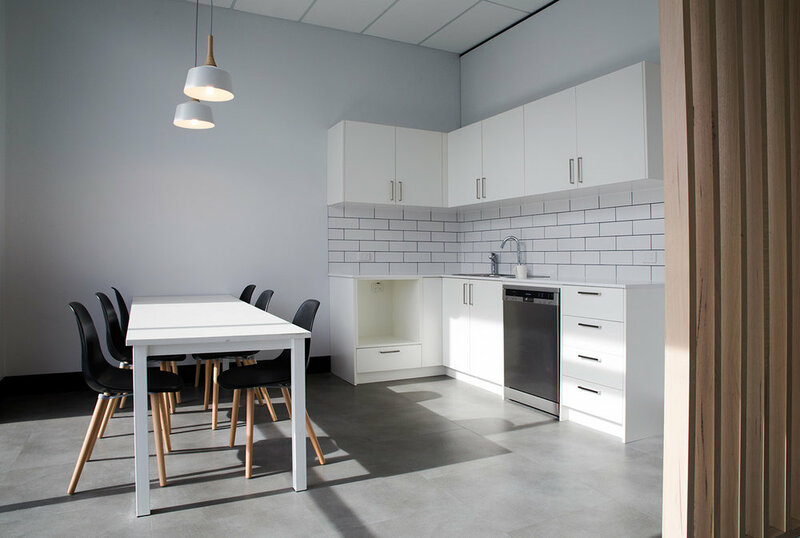 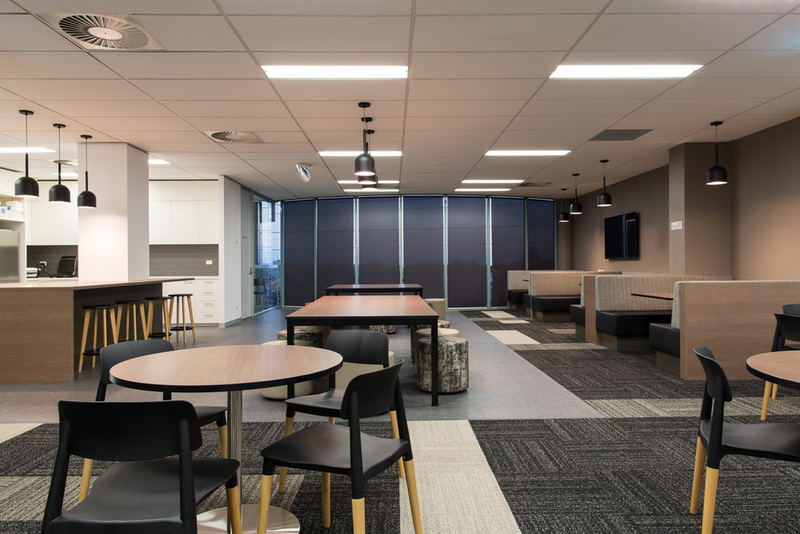 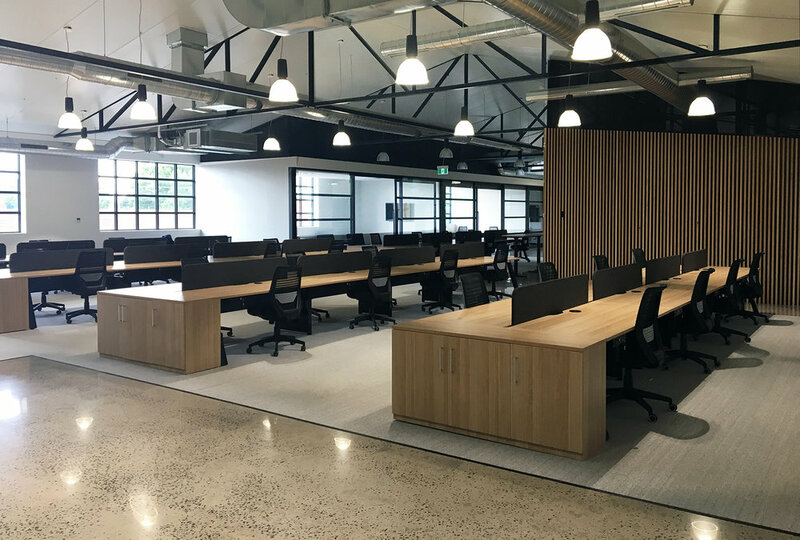 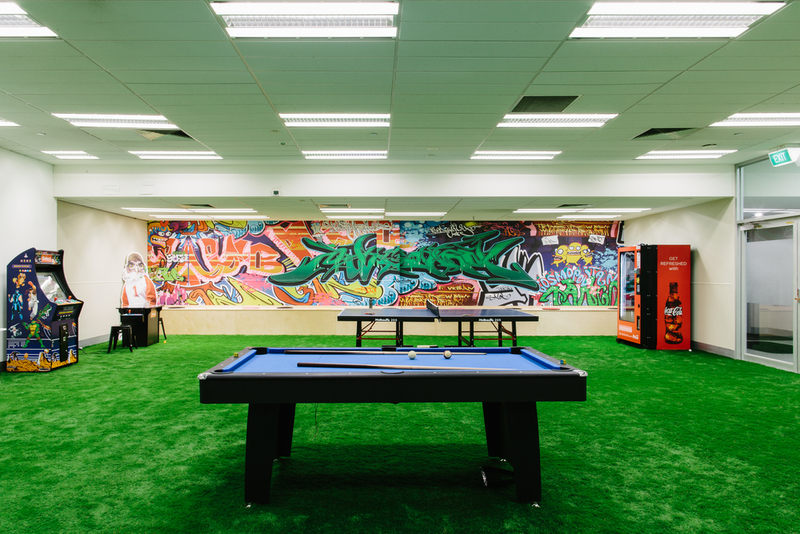 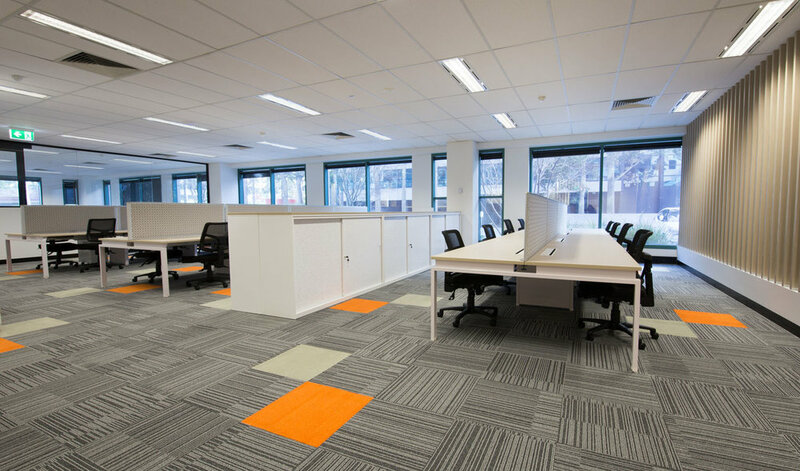 Designed to exceed the needs of the modern workspace, we recently completed a project at Bayside Group’s new Melbourne office for breakout zones and practical open-planned workstations. 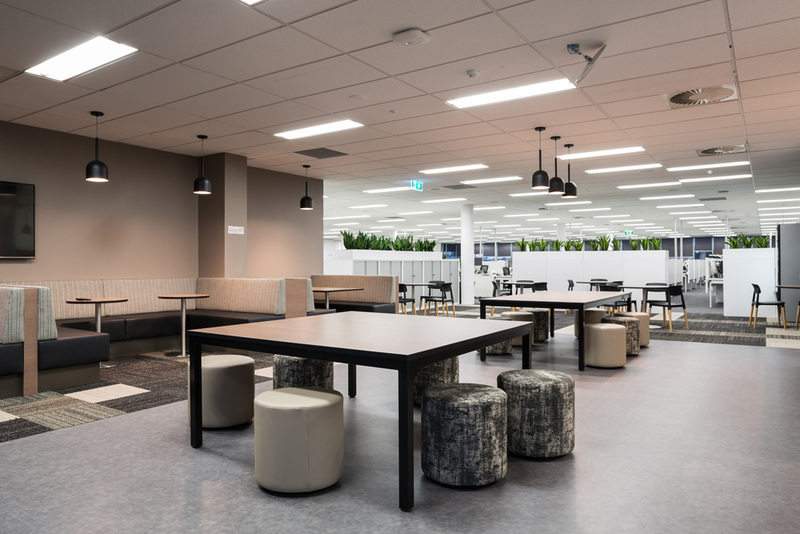 Uno, Halo and Dart tables were paired with Mim chairs and Solo stools in a monochrome palette to create a contemporary and upbeat vibe in the café areas. 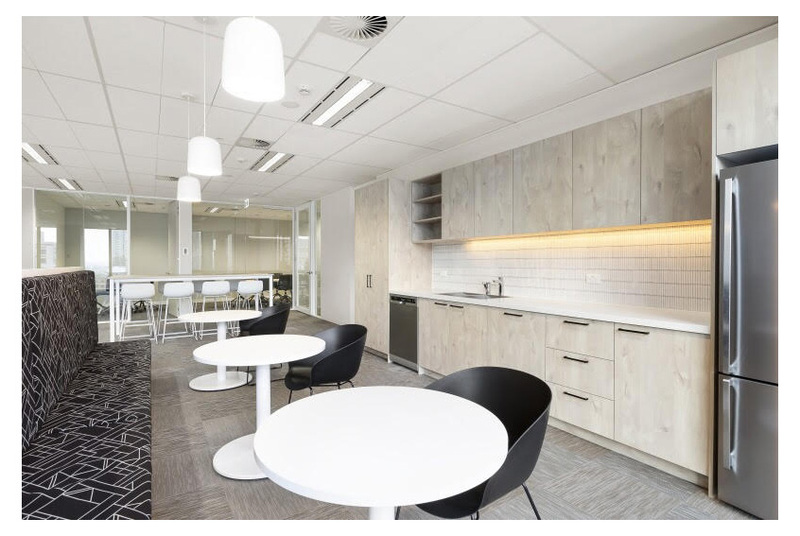 Rocco chairs and Enzo coffee tables were cleverly selected for the reception area while the workstation areas and executive offices were beautifully designed with a combination of Benchwork workstations, Screenwork screens and Globe Sliding Door cupboards with planters all coming together nicely. 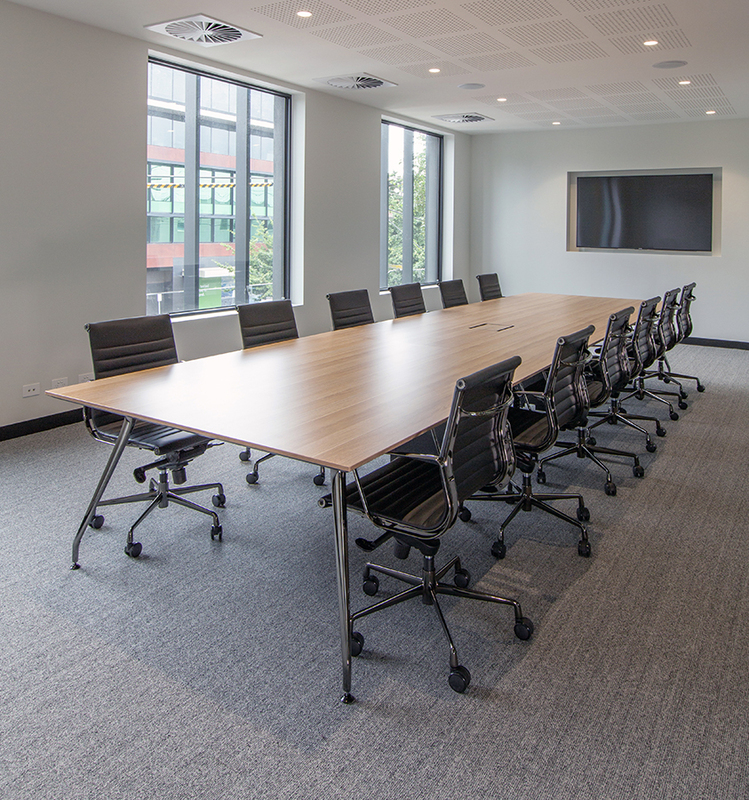 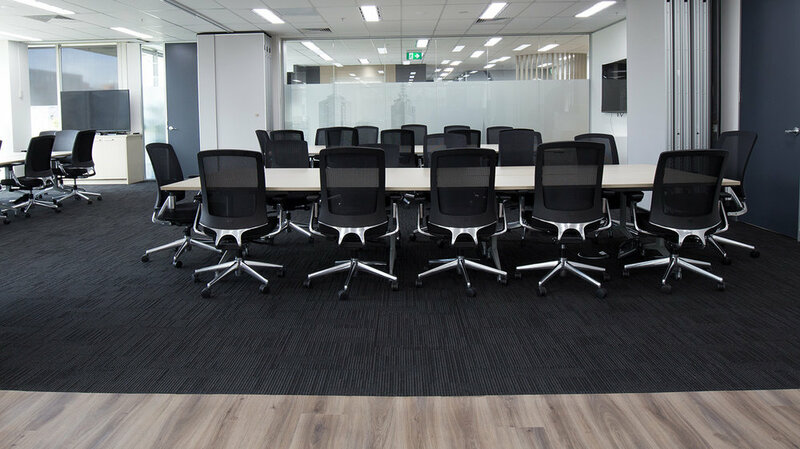 Miro S chairs were also a standout in the training rooms, placed around Flip tables the space caters for up to 35 people. 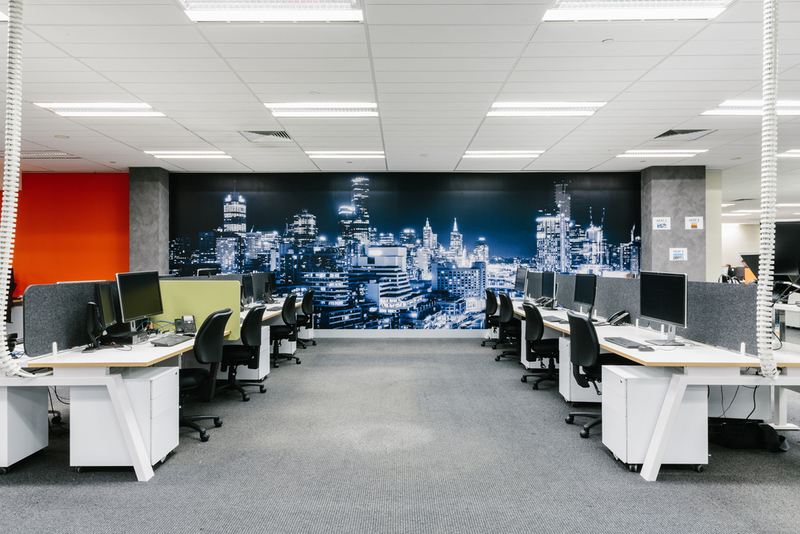 Brilliantly designed, these stunning offices are the place to be. 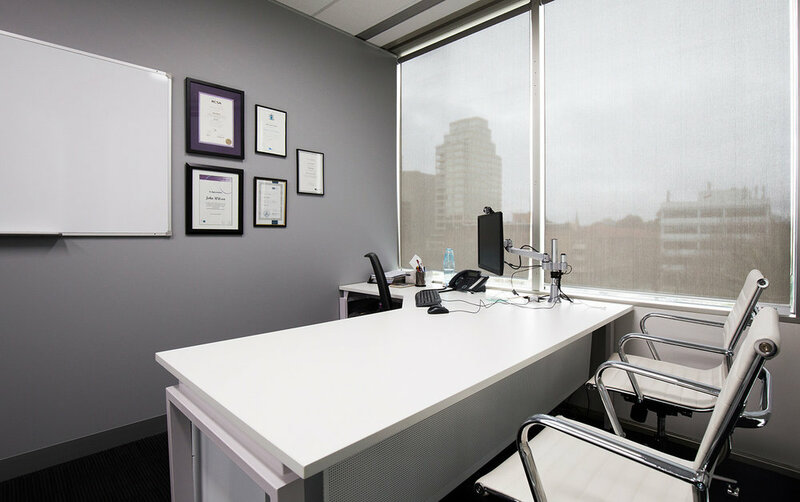 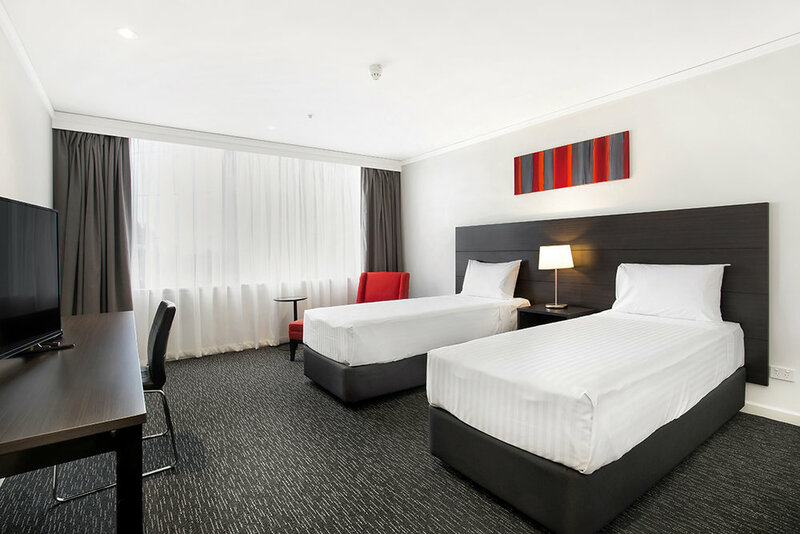 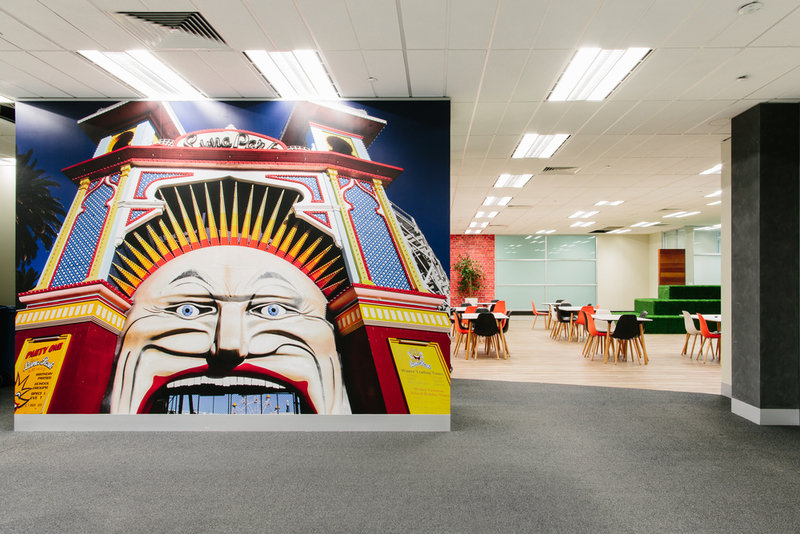 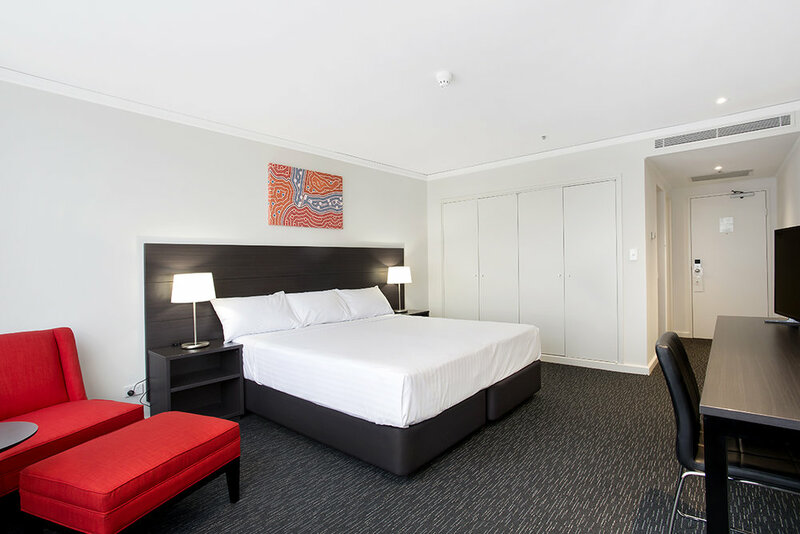 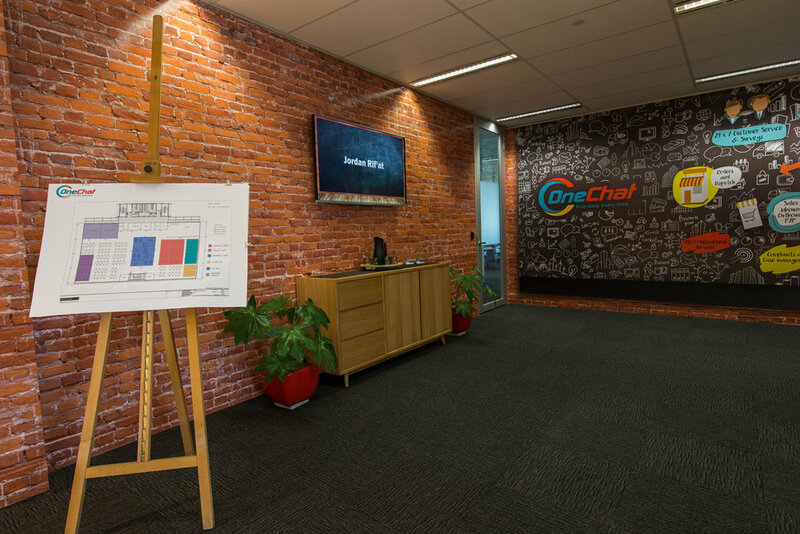 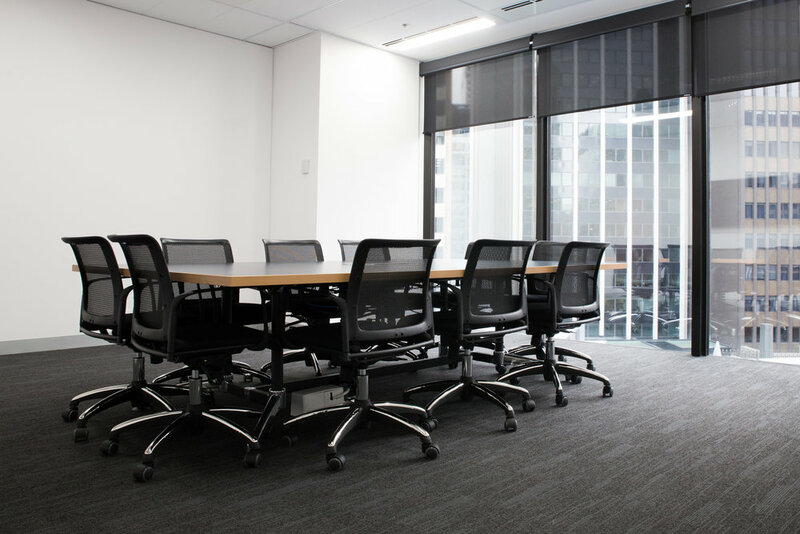 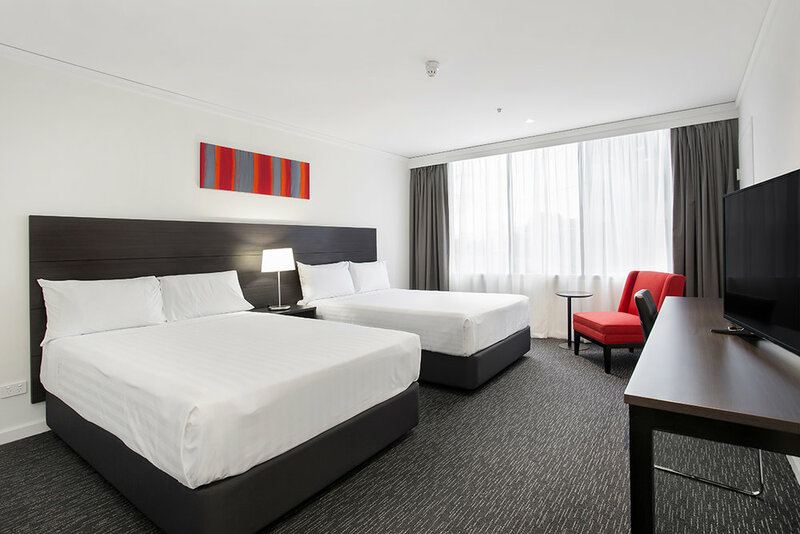 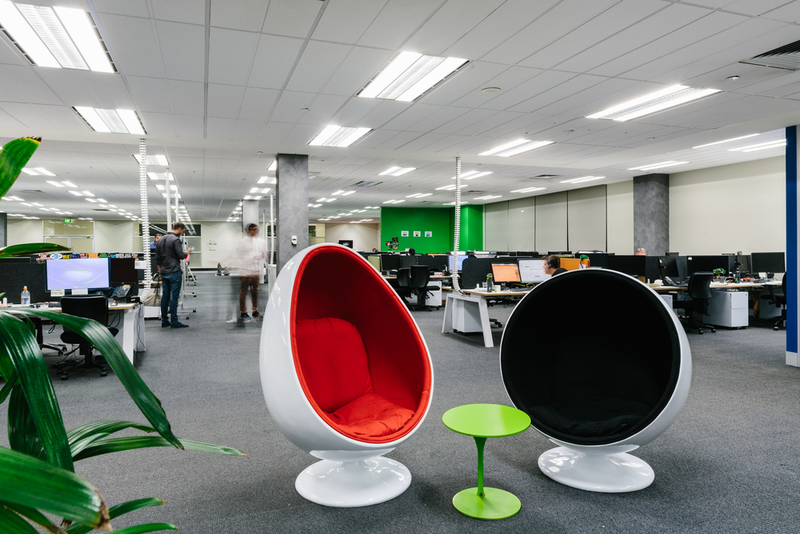 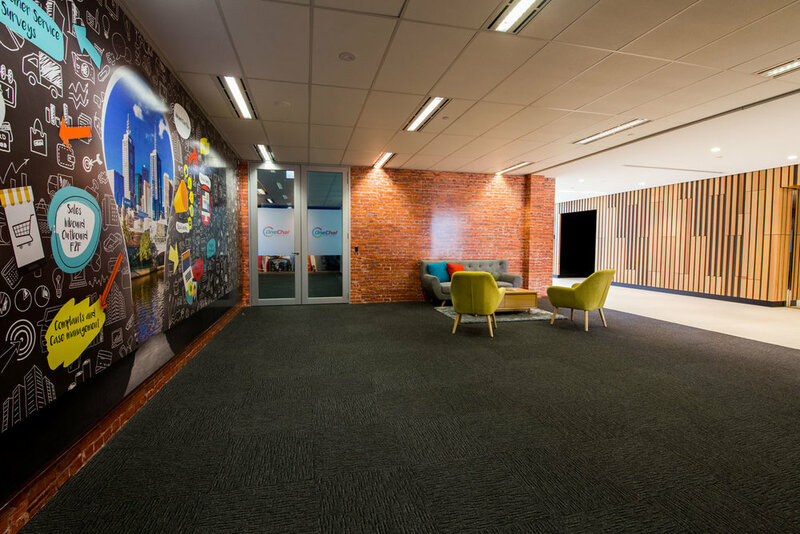 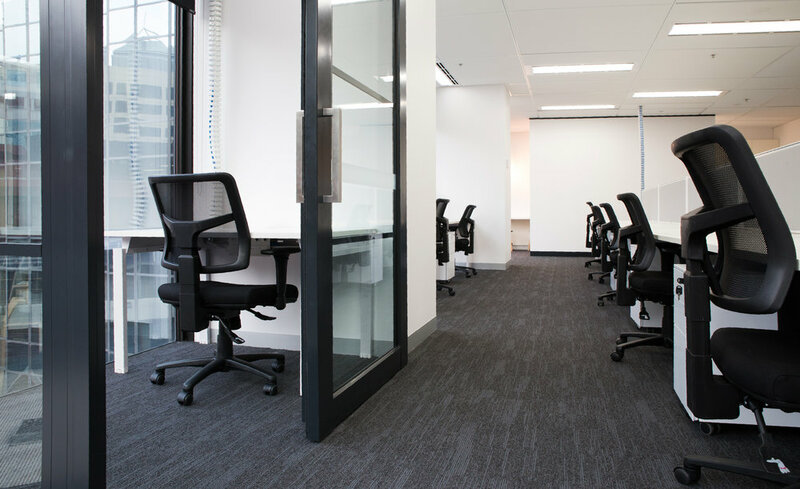 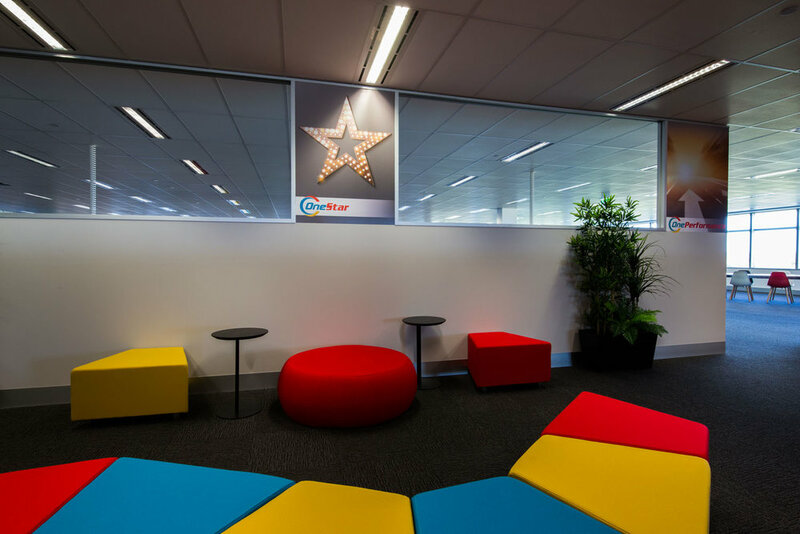 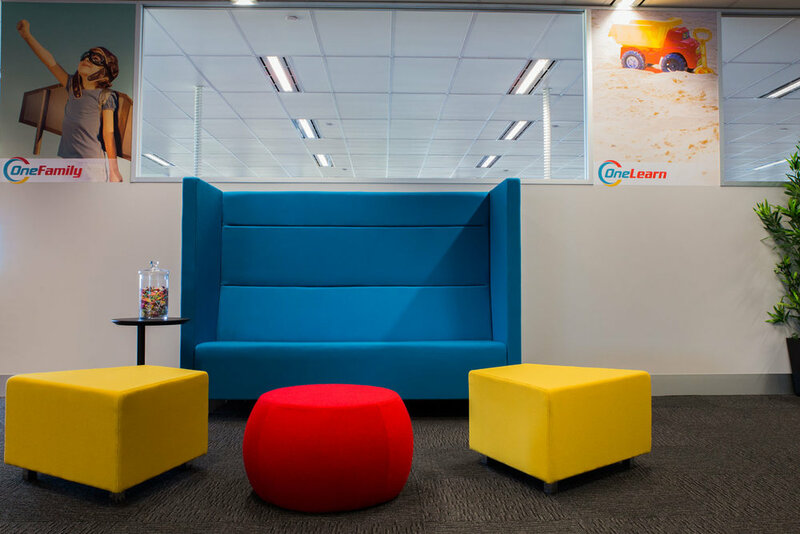 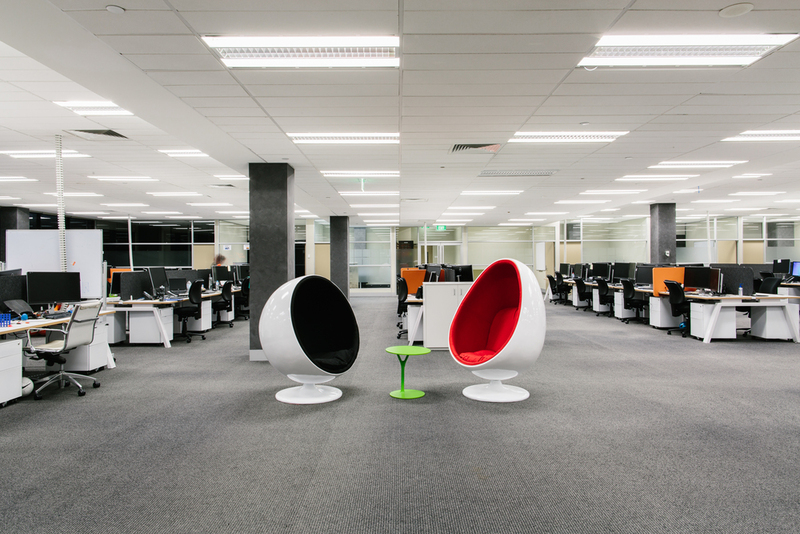 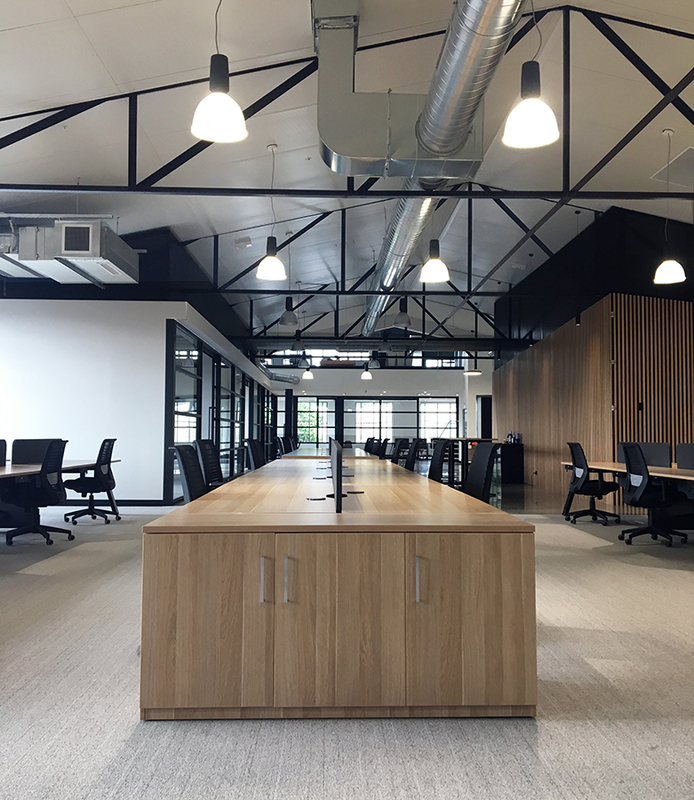 Rate One’s Melbourne office features all the elements to succeed in a trendy aesthetic with superb functionality. 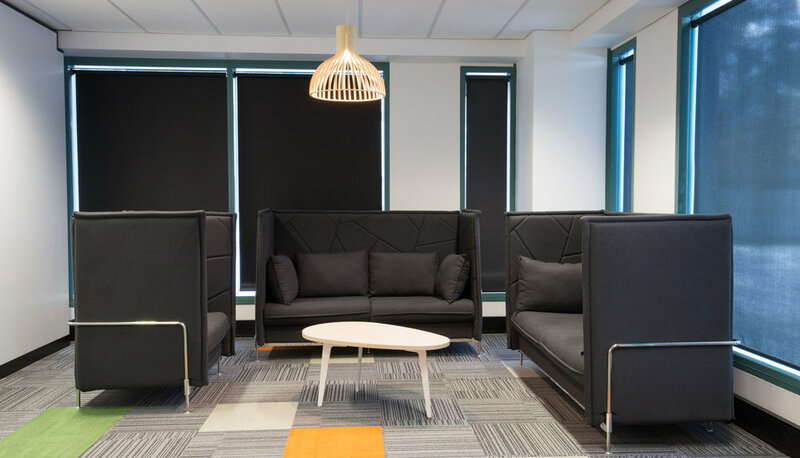 A soft palette of white, natural wood grain, grey and orange were selected with the colours and finishes being carried throughout the office, café, meeting area and reception spaces. 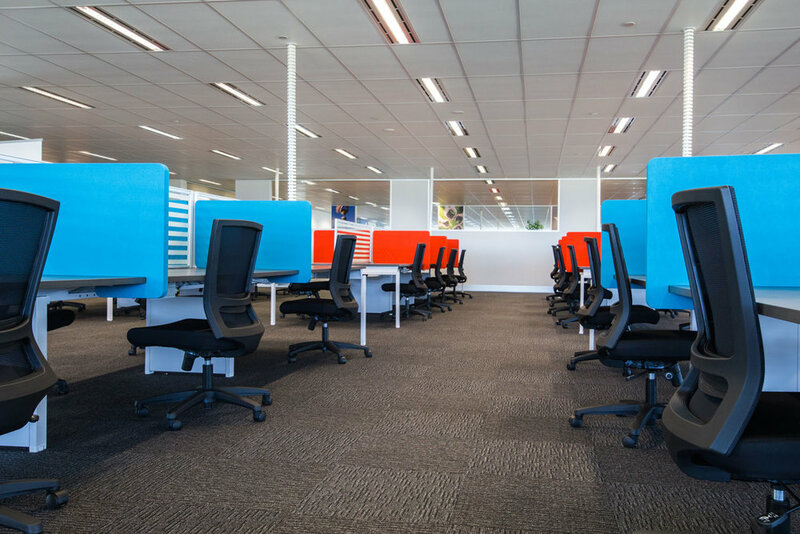 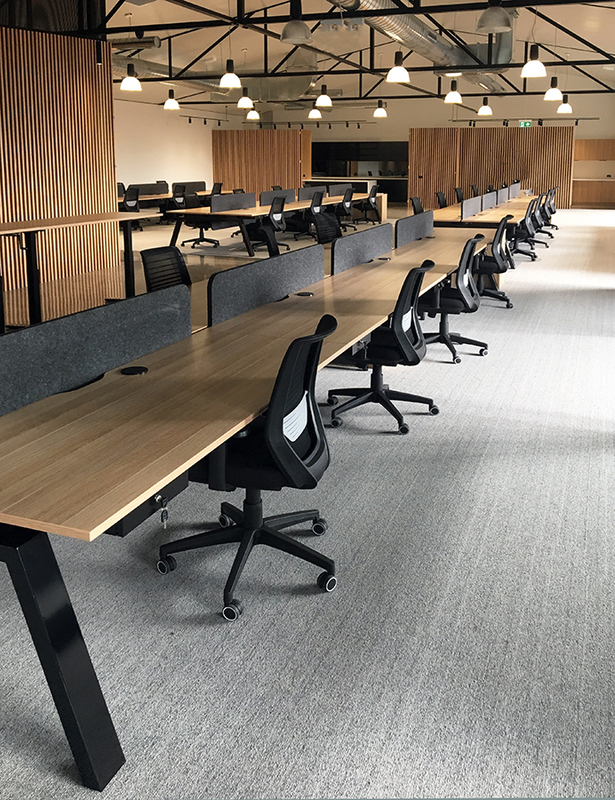 Workstations were a clever combination of Benchwork with Screenwork screens all paired with our ever popular Flow chair and Globe pedestals. 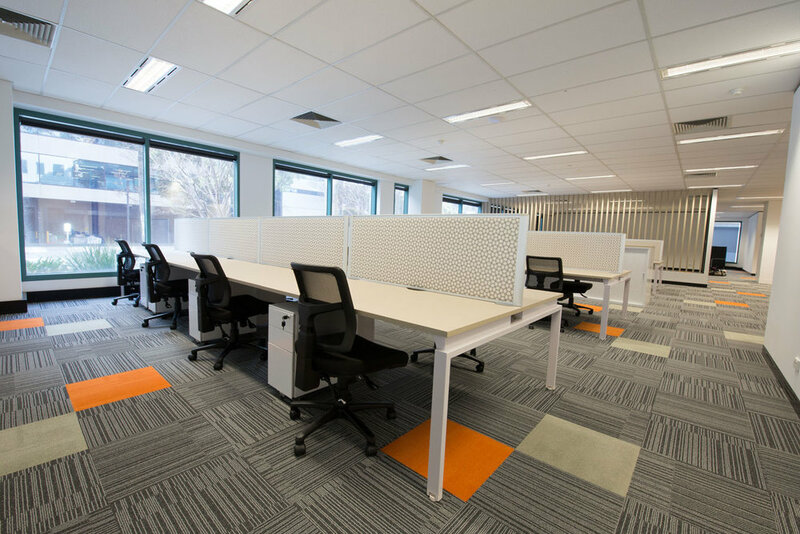 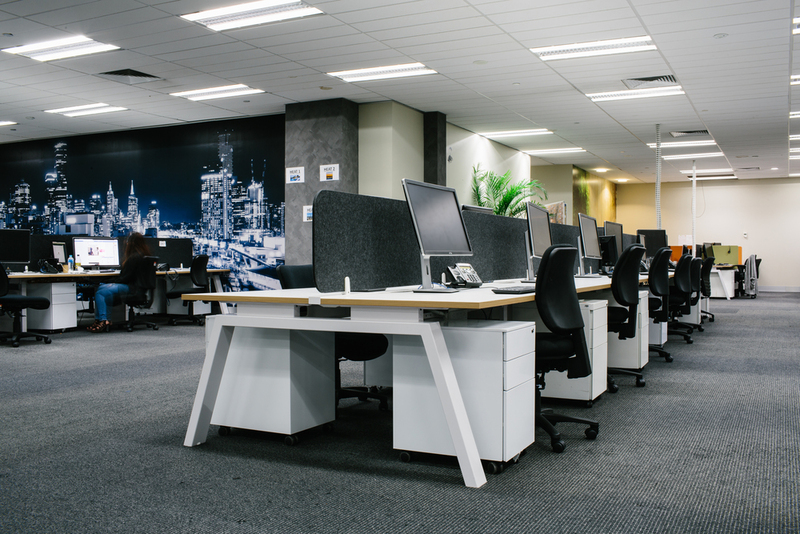 Globe Sliding door units with custom melamine tops surrounded the workstations providing ample storage and also acting as room dividers. 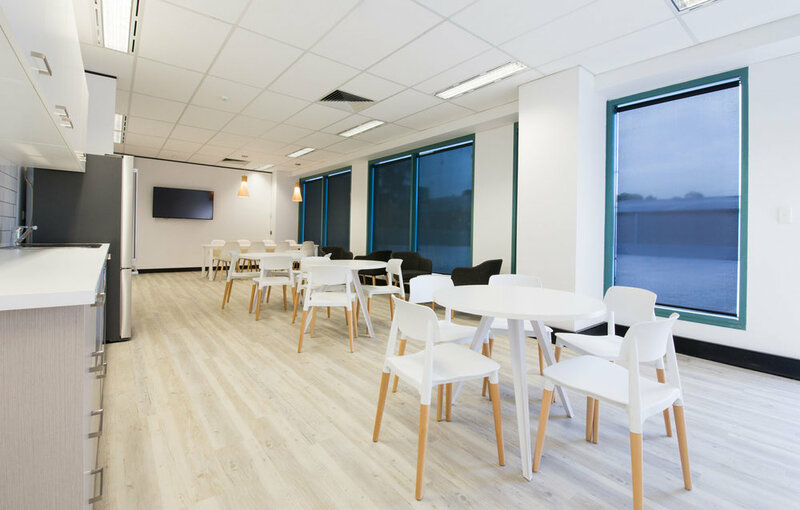 The cafe area featured Mim chairs, Inc chairs, Uno tables, Dart tables, Rocco chairs and Enzo coffee tables. 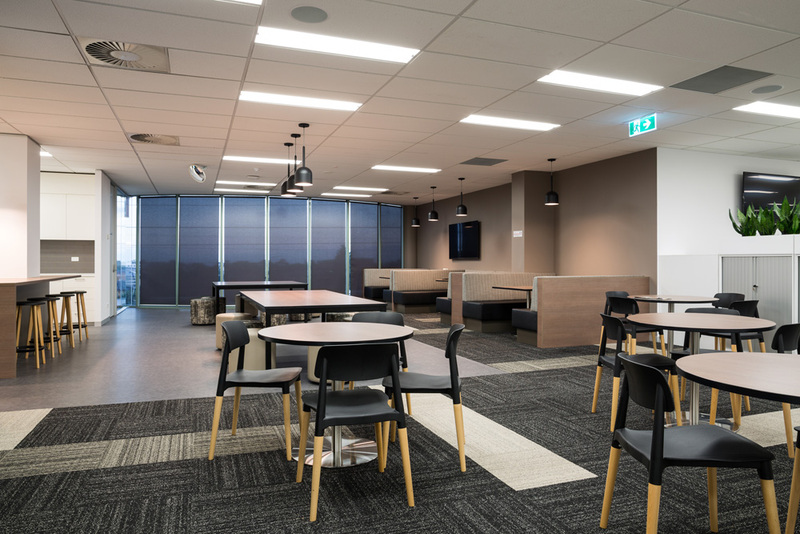 Designed to seat over 25 people, the space offers a comfortable place for staff to regather. 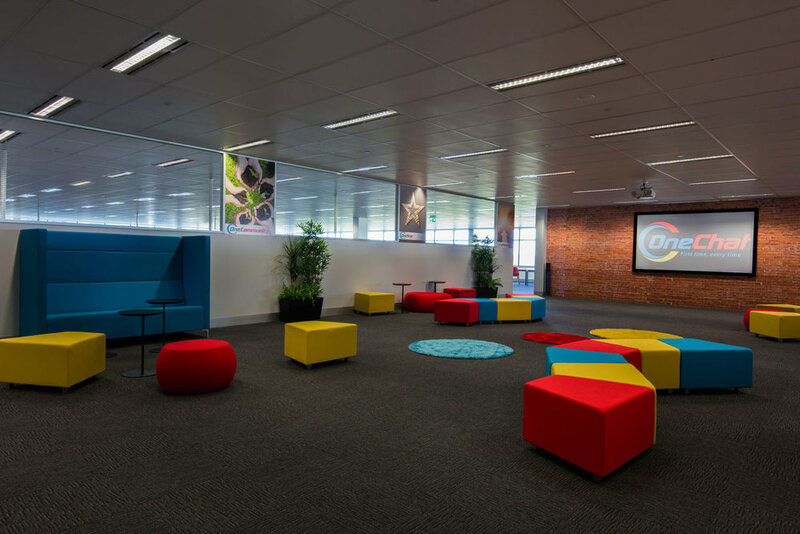 In-office breakout spaces were also a stand-out, being home to a number of Hush lounges and Dart organic coffee tables. 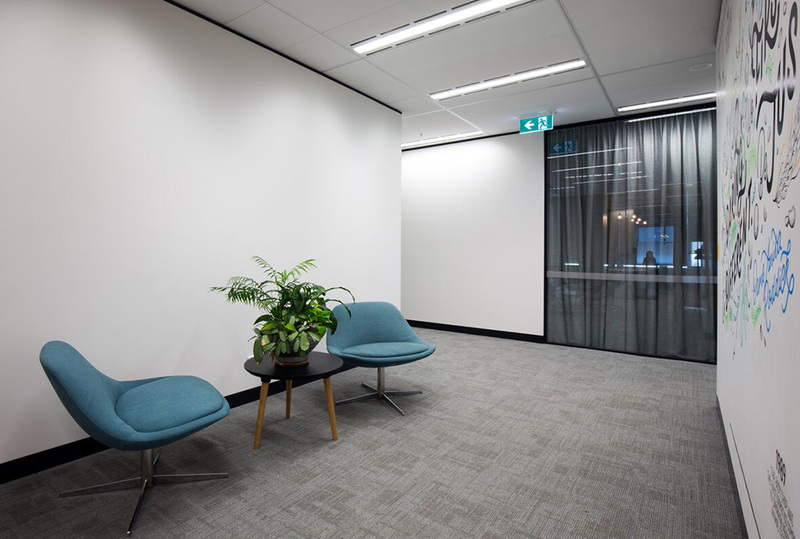 The setup of the lounges ensuring users have a place to escape the hustle and bustle of the office to meet, greet and concentrate. 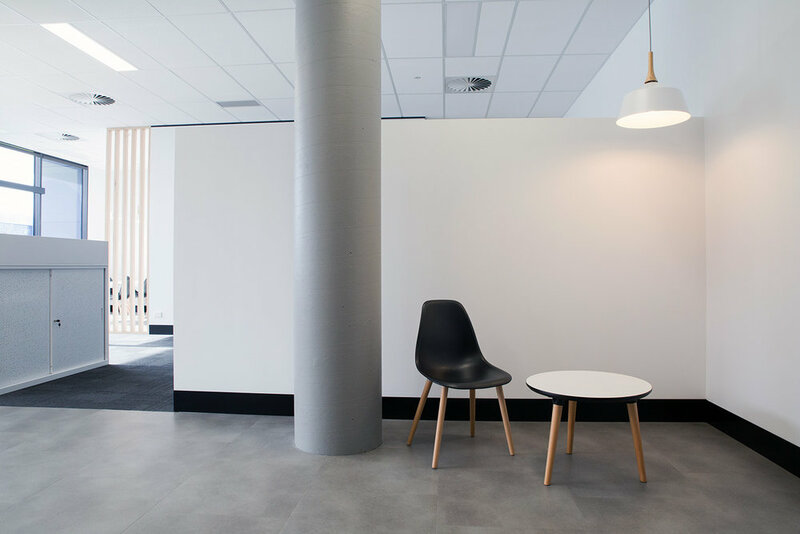 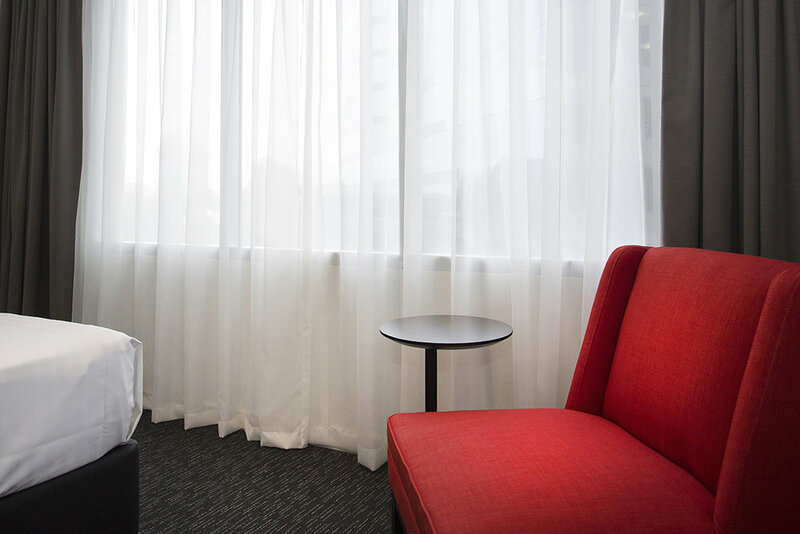 Rocco lounges and Dart coffee tables featured in the reception area, providing a welcoming place for visitors and creating a lasting first impression. 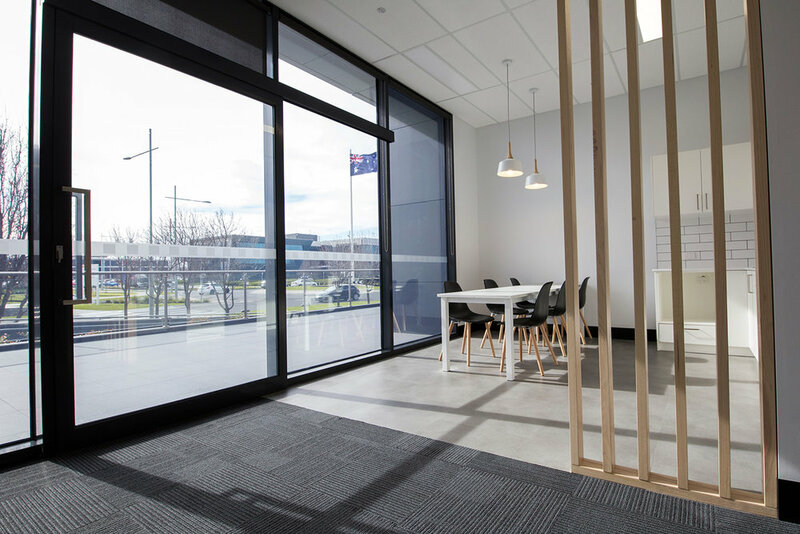 All in all, the sophisticated selection of furnishings for Rate One’s new office checks all the boxes of a perfectly practical and attractive contemporary office.